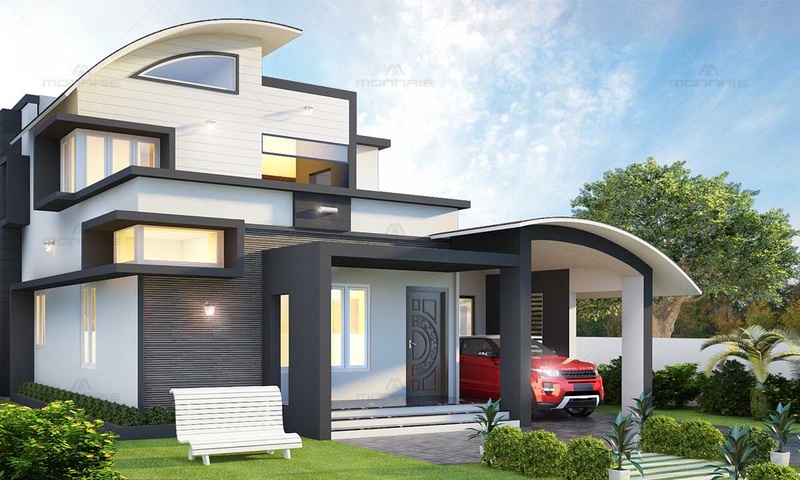 This stylishly designed home in Edapally, Kochi marks its elegance with its simple contemporary architecture design elements. It’s a perfect example of the architecture of 21st century. The subtle fusion of curved and straight lines in the façade creates an interesting composition of varied geometric volumes. This design does not limit itself to a single stylistic thread. The flat and curved overhanging roofs functions as an eye catching design element. 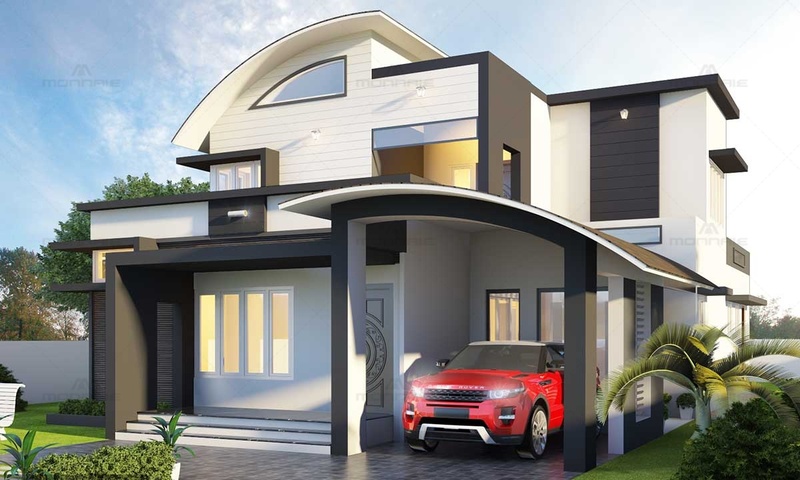 As one of the leading architects in Kerala, we have given equal importance to the exterior as well as the interior. 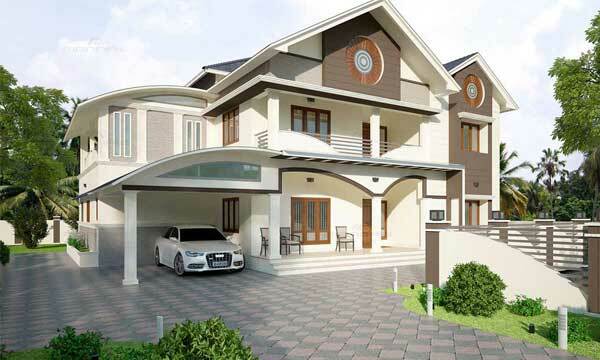 The mix of grey and white colour scheme helps in rendering its contemporary nature. 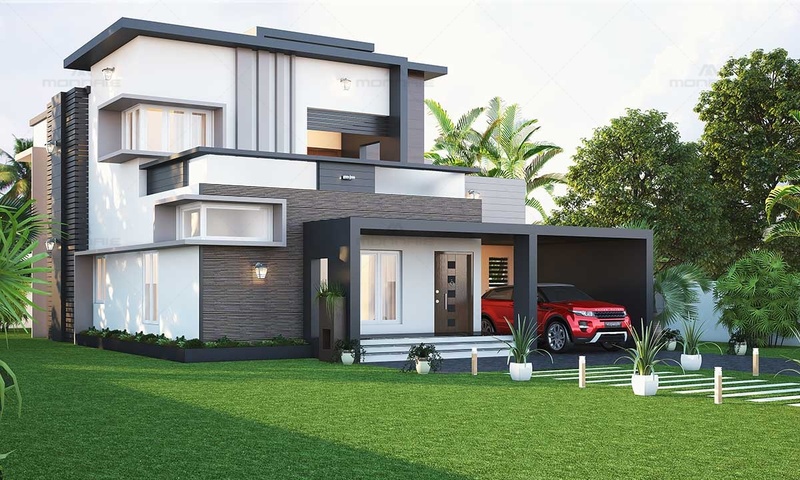 The addition of flat overhangs, box sunshades, long windows and horizontal grooves defines the simple aesthetic appeal chosen. 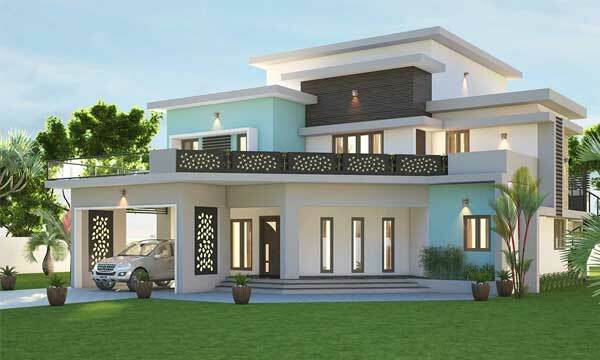 Being one of the top interior designers in Ernakulam, Kerala, we have designed the interior spaces as an extension to the exterior by following the same contemporary style employed. The different shape and sizes of windows enhance the quality of interior spaces. 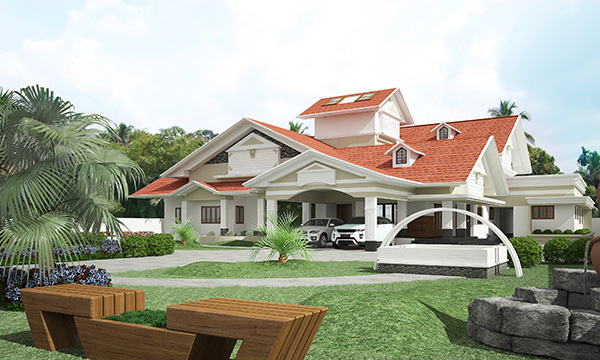 Natural ventilation and daylight penetration are the prime factors that defines this Kerala home interior design.